A good tomato sauce can make all the difference. Whether it is for covering a pizza base or to put on a portion of pasta. You can find recipes online with oven roasted tomatoes, cheese and wine. A sauce does not those to be good. My recipe is simple, but there is also a few "secrets" hiding in it. Chop the vegetables for into approximately (1 cm) 1/2 inch cubes cubes. Let it simmer for an hour or two until it is very soft. Add a little water if it becomes too thick to simmer. 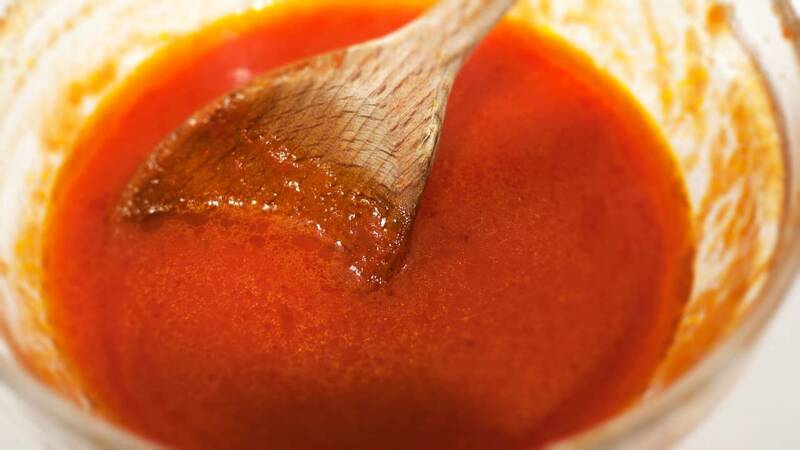 If you do not like lumps in your sauce, then run a hand blender through it.